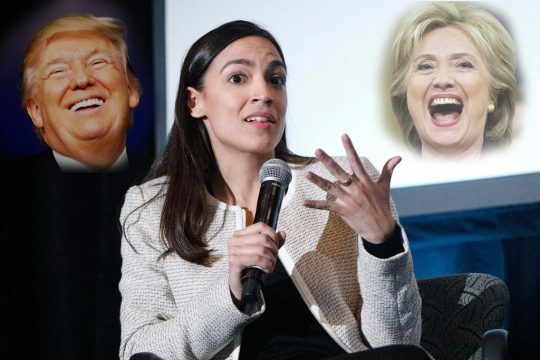 Gallup's finding are in line with those of a Fox News poll of registered voters conducted in February, which found that Ocasio-Cortez had a favorable rating of just 26 percent, and an unfavorable rating of 39 percent (-13). In that poll, 34 percent of respondents didn't offer an opinion or said they'd never heard of AOC. Respondents had a slightly better view of President Donald Trump, who had a favorable rating of 43 percent, and an unfavorable rating of 54 percent (-11). Ocasio-Cortez did, however, perform better than Socialism, which had a favorable rating of just 25 percent, and an unfavorable rating of 59 percent (-34). This entry was posted in Politics and tagged Alexandria Ocasio-Cortez, Democratic Party, New York. Bookmark the permalink.